Please make this a reality, Apple! We’re yet to see the true potential of the iPad Pro’s Smart Connector. Apple has already given us a Smart Keyboard, but it has much more ambitious plans for next-generation covers that add sketchpads for drawing, secondary displays, solar panels, and more. 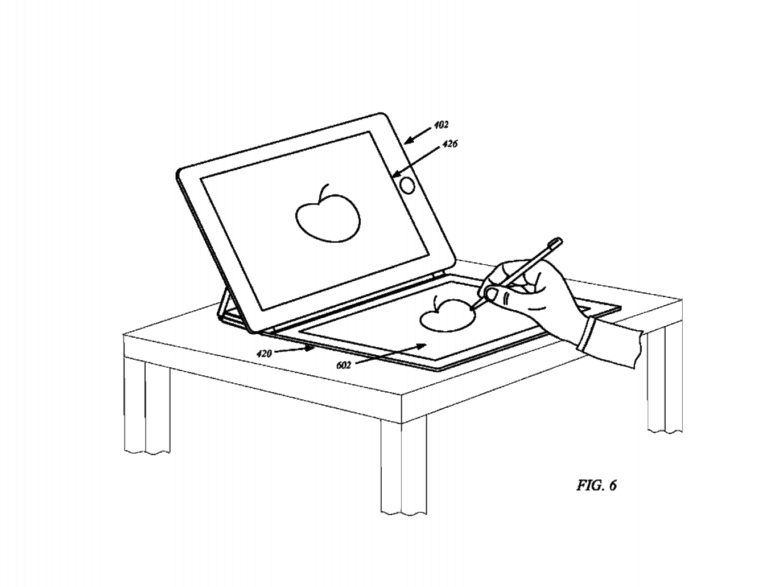 Apple’s patent for a “Cover attachment with flexible display” was first published by the U.S. Patent and Trademark Office in August 2012 — just a year after the original iPad went on sale — but an updated version was released today, and it’s more relevant than ever. With the introduction of the Smart Connector on the iPad Pro, the features Apple outlines for its next-generation covers are now feasible Smart Cover upgrades, as opposed to just neat ideas that may or may not be useful in the future. And that’s super exciting. 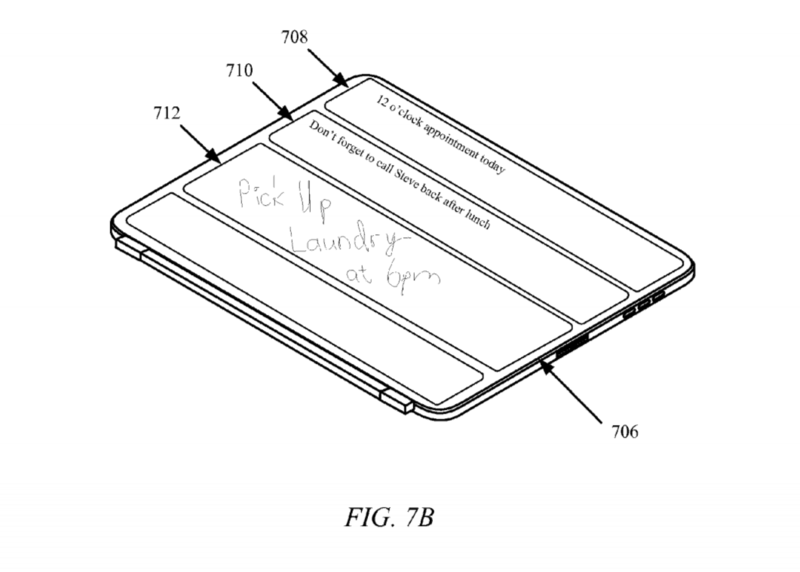 Apple describes how its new cover could contain solar panels that keep your iPad’s battery topped up while you’re out in the sun, and external sketchpads that allow users to jot down notes on the outside of the case when they’re in a hurry. Just write it on your Smart Cover. In other embodiments, the cover contains a secondary display. Apple explains how that display could be used simple to show useful information, like reminders or calendar events, or even as another input device that could be used for drawing and writing. 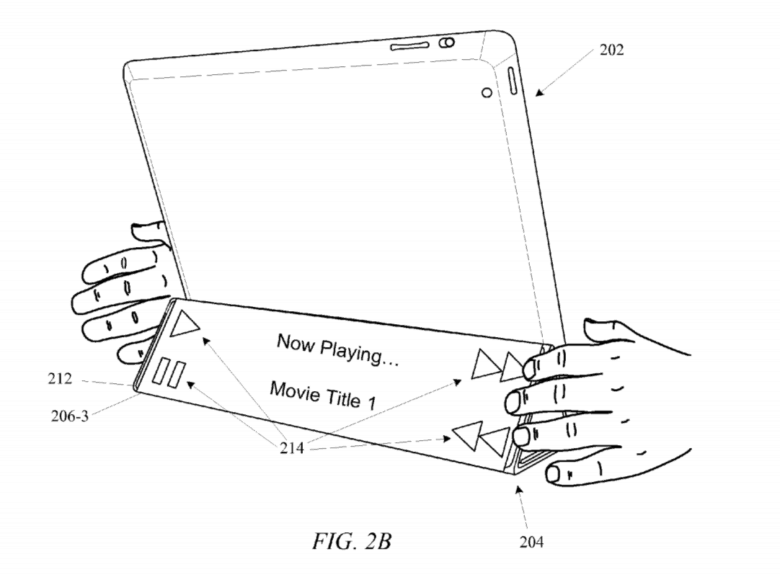 Future covers could also have simpler touch controls, which would allow users to control media playback and make basic interactions with other apps simply by tapping touch-sensitive areas. Of course, patents are never a guarantee of things to come, so while these iPad covers all sounds like pretty great accessories, they may never make it out of Cupertino. The patent does confirm, however, that Apple at least has more in mind for the Smart Connector.